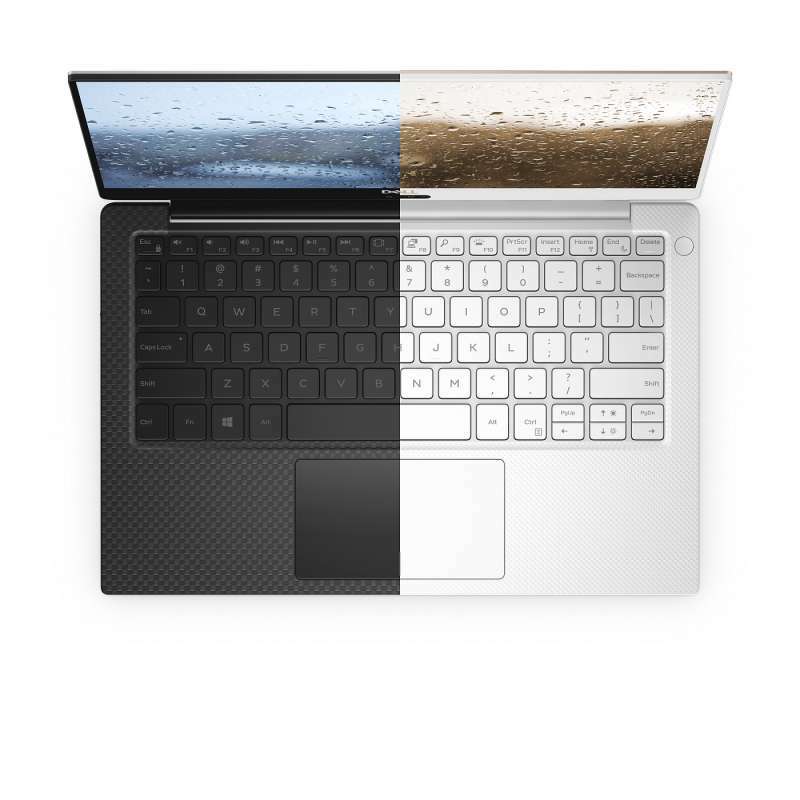 The Dell XPS packs a display that guarantees a peak brightness of 400nits. It covers 100% of the sRGB color gamut and 72% of the Adobe RGB color gamut. Full HD and 4K resolution are available, as well as the touchscreen option. Worried about scratches? Fret not. The screen is covered from edge to edge with Corning’s Gorilla Glass 4. The ultrabook is powered using a 52Whr battery. Dell claims that models with the 1080p screen can sustain up to 19 hours and 46 minutes of use on a single charge, while ones with the 4K screen option can last over 11 hours. Connectivity options include with 2 Thunderbolt 3 ports, a USB Type-C 3.1 port, a micro SD card slot, and a headphone jack. Unfortunately, there isn’t going to be a USB Type-A port this time around. Color options isn’t purely for cosmetics anymore. Alongside the traditional black/silver carbon fibre model, a new Rose gold/alpine white version will be available as well. This new color scheme uses a “woven glass fiber palmrest” with “UV -resistant and stain resistant coating”. Dell states that the feel of the palmrest will significantly differ from the carbon fiber version. The baseline configuration includes a 128GB SATA SSD and 4GB of LPDDR4 and starts at $999. Users can configure their device to include up to an 1TB PCIe SSD and up to 16GB of dual-channel SDRAM running at 2,133MHz. 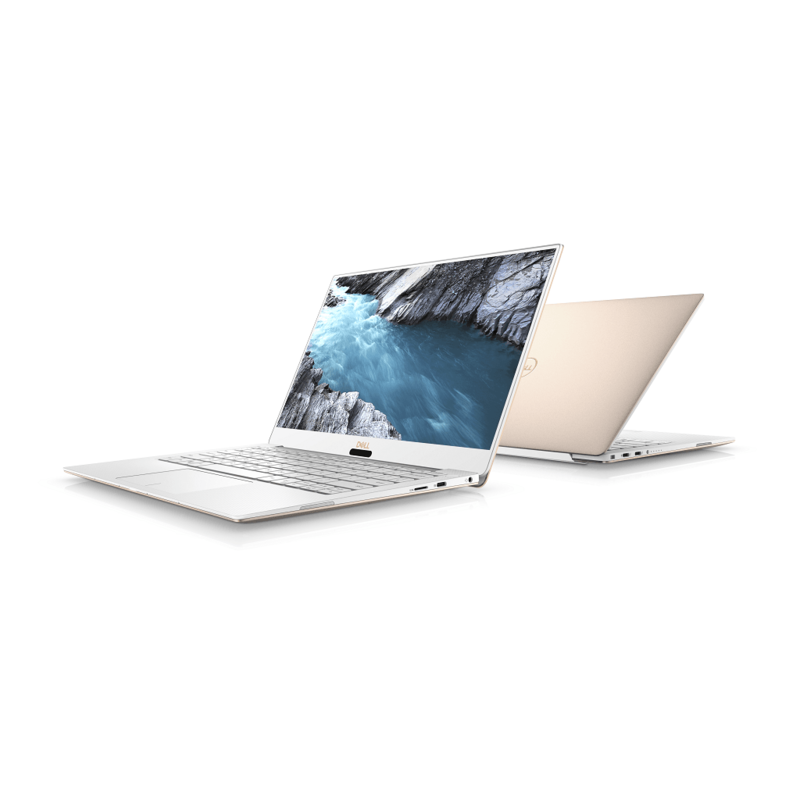 The Dell XPS 13 (9370) is available now at the Dell Store.